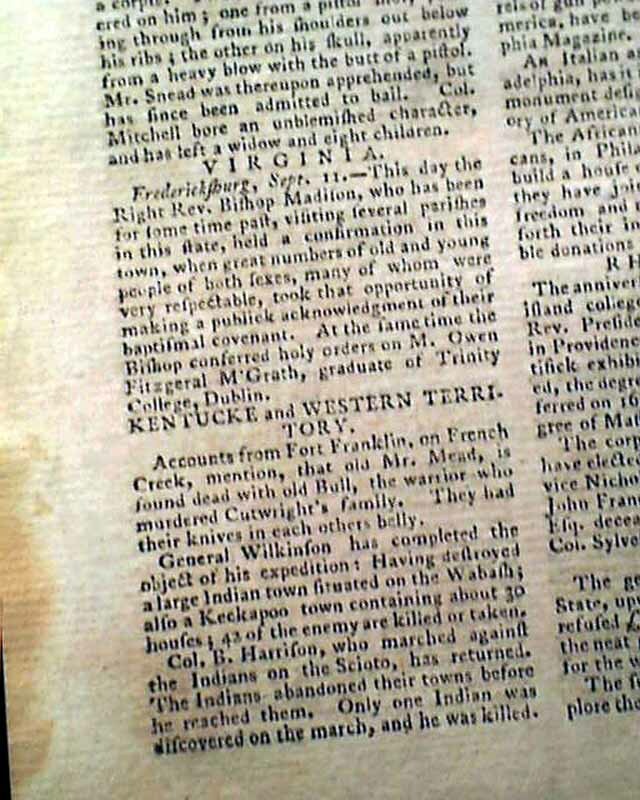 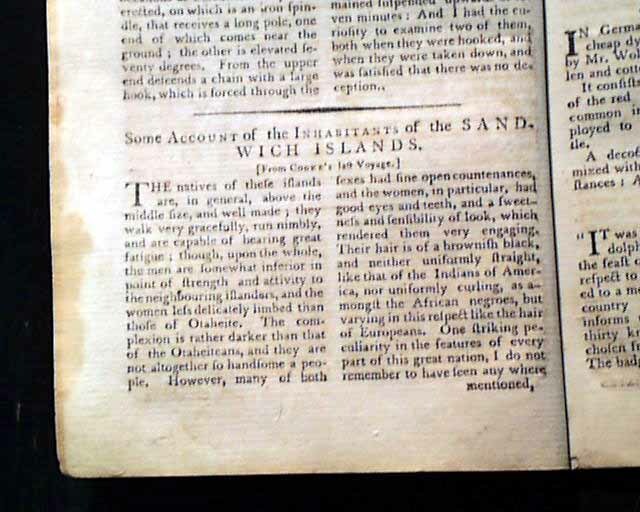 Item # 645310 THE MASSACHUSETTS MAGAZINE, Boston, September, 1791 Among the articles are: "Some Account of the Inhabitants of the Sandwich Islands" which is Hawaii; "Animated Portrait of African Servitude" "On the Power of Money" & much more. 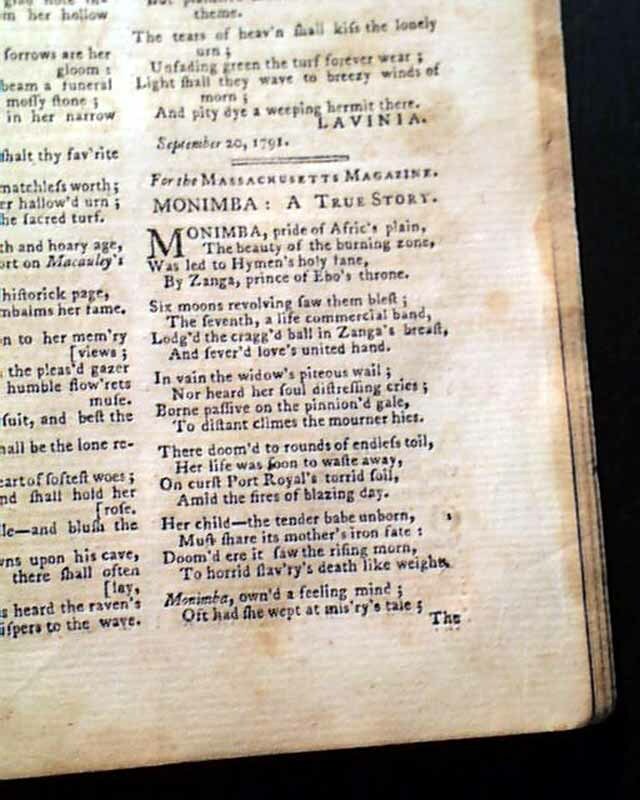 Of note is a poem titled: "Monimba: A True Story", an anti-slavery poem which depicts a fictional, pregnant Igbo slave who committed suicide on a slave ship destined for Jamaica. 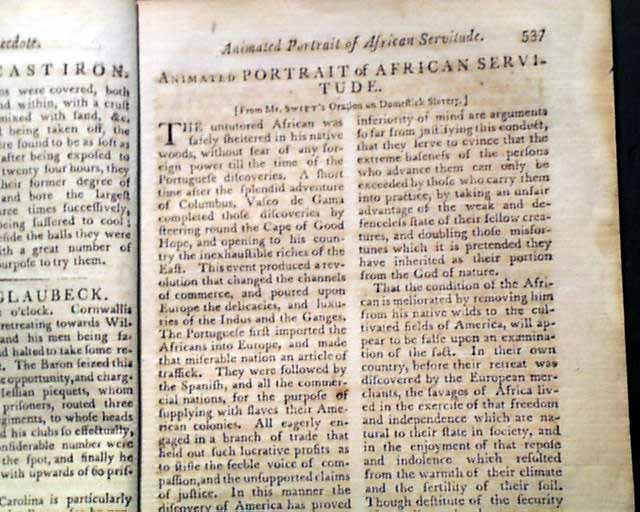 The poem is an example of the stereotype of Igbo slaves in the Americas. 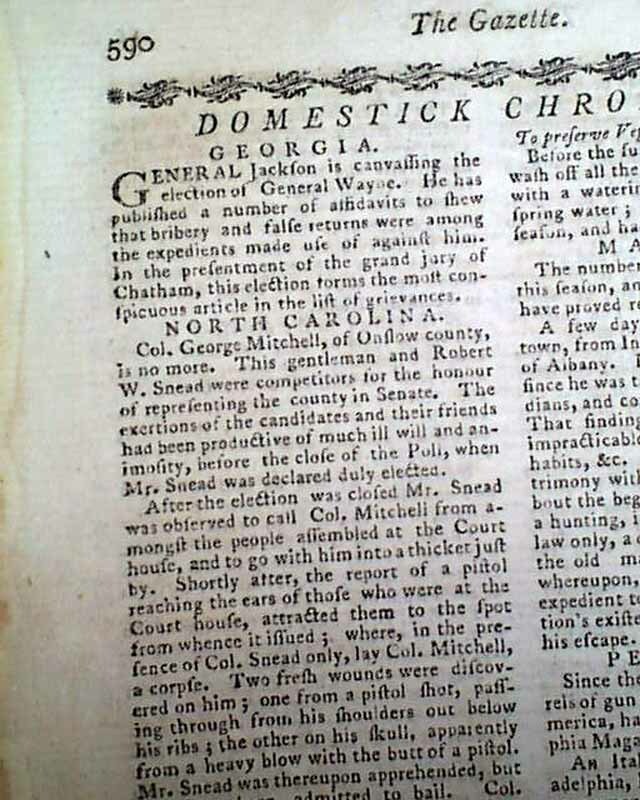 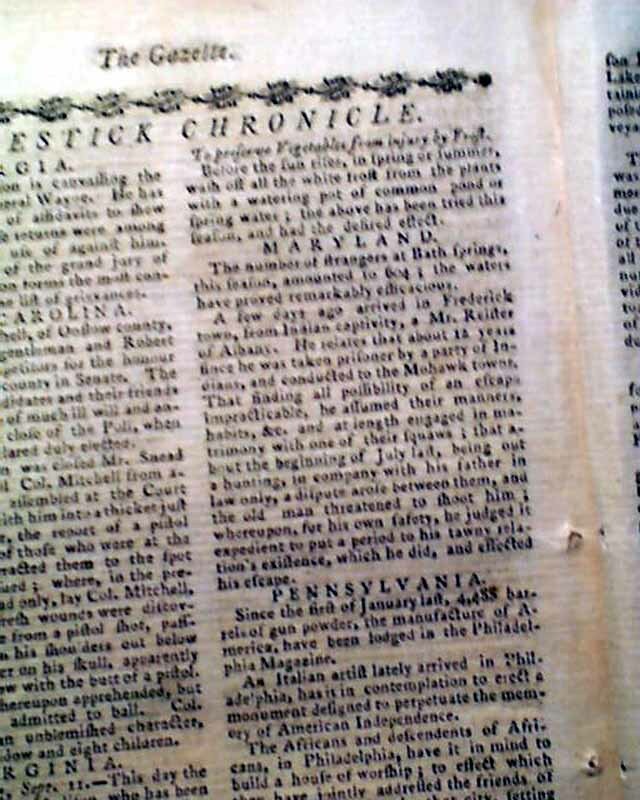 Near the back is: "Domestick Chronicle" which has the latest news items from Georgia, N. Carolina, Virginia, "Kentucke & Western Territory", Maryland, Penna., Rhode Is., and more. 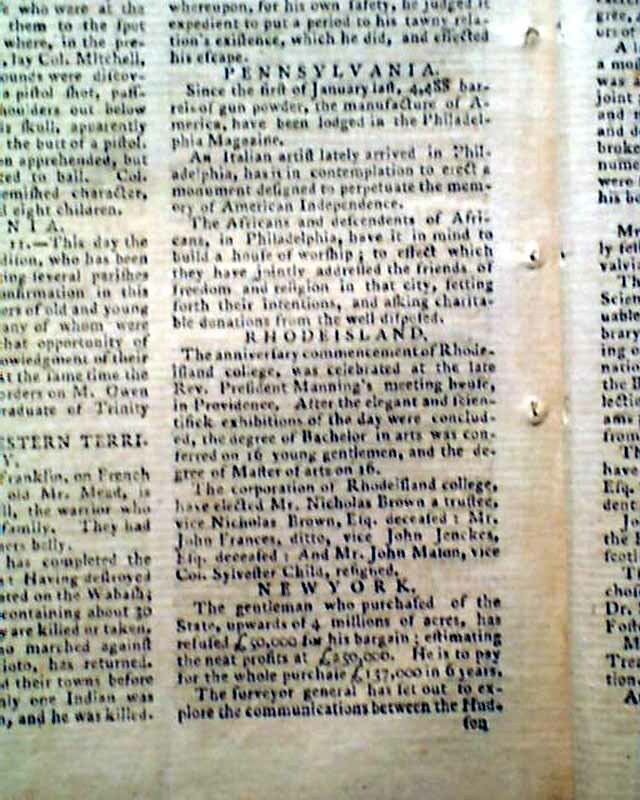 The plate called for is lacking. 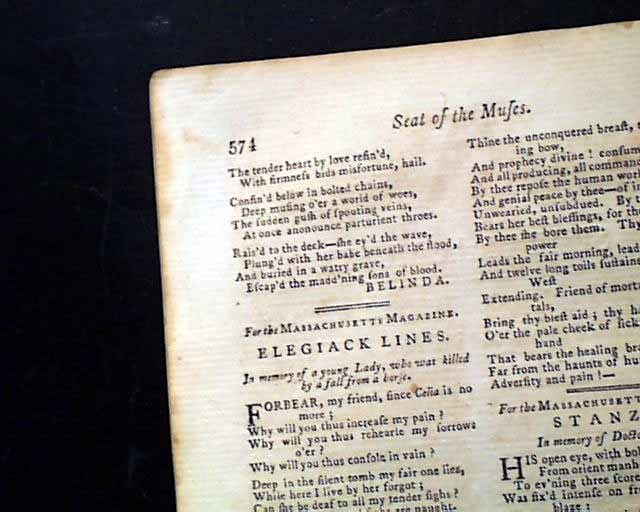 Complete in pages, with pages, 5 by 8 1/4 inches, full title/contents page, nice condition. 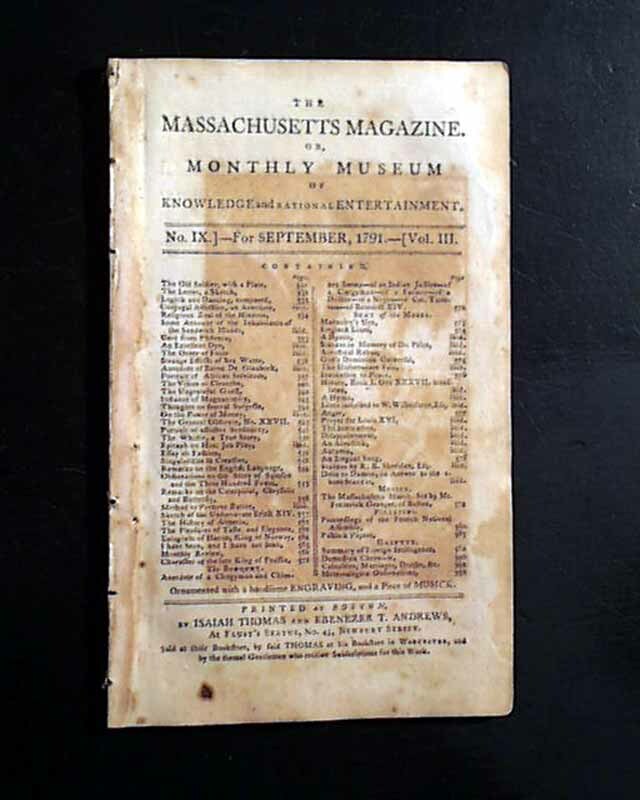 Eighteenth century American magazines are increasingly scarce in today's market. 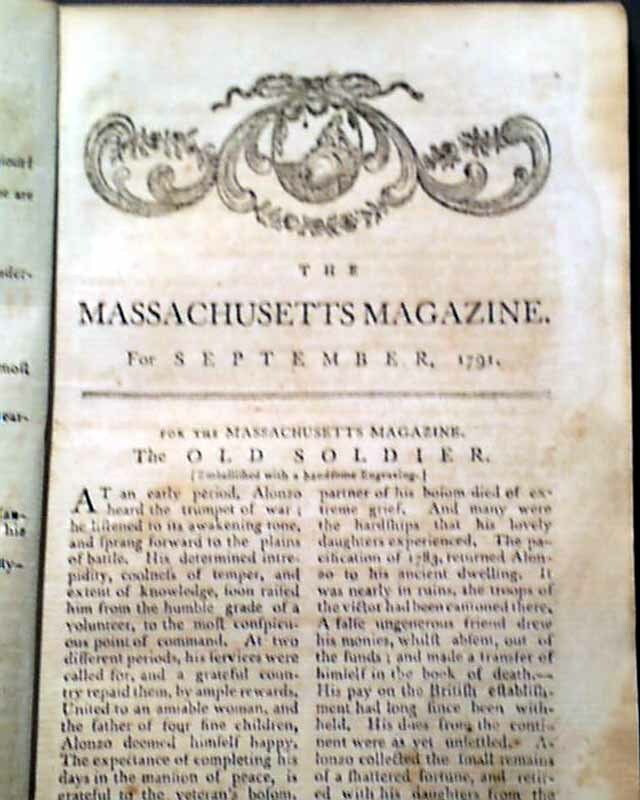 This title was published by the famed Isaiah Thomas, the patriot printer from the Revolutionary War & founder of the American Antiquarian Society.